With stunning riverside gardens, elegant furnishings and fantastic food, the Inn at Fossebridge is set in a charming hamlet of the same name deep in the Cotswolds. A charming Cotswold retreat with seven elegant en-suite bedrooms, a large open log fire and a superb flagstone floor in the bar. The Inn serves well kept local cask ales and we serve food from 12noon. The two traditional Cotswold bars are located in the oldest part of the building, divided by stone archways. They are a wonderful retreat, rustic and cosy, with flagstone floors, beamed ceilings, an open log fire, log burning stoves and mellow Cotswold stone walls. 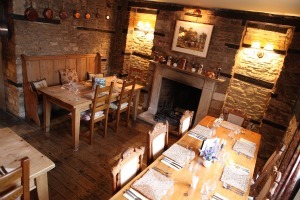 Enjoy local ales, fine wine and excellent food, combined with high levels of comfort and service. Our menus offer dishes using fresh produce, from light lunches and Fossebridge classics to hearty main courses. We can also cater for private parties, wedding receptions and events in our two Georgian dining rooms; The COLN & BRIDGE Rooms, overlooking the four-acre gardens and lake. Thank you so much to all the staff who looked after us on saturday night after our car broke down. We hope to repeat our attempted holiday in The Cotswolds again in September and plan to enjoy your hospitality, delicious food (especially the Croissant bread & butter pudding!) and lovely gardens in a more relaxing situation. Thank you all for making what could have been a terrible experience with a 2 year old and a baby into a treasured memory! Hi everyone,just wanted to thank you all for making our stay with you such a happy one I did enjoy my birthday. Thank you again everyone it was a relaxing few days. We will be back. 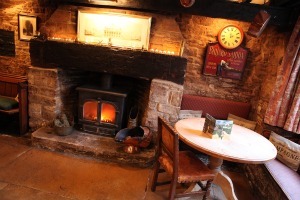 The Inn at Fossebridge is Cotswold country pub with rooms immersed in 300 years of history… as a coaching inn on the Fosseway and a former hostelry named after wealthy landowner, Lord Chedworth. We are conveniently situated in a dip on the A429 (Fosse Way), 6 miles north of Cirencester at Fossebridge, between the Gloucestershire towns of Cirencester and Northleach. The bar is OPEN EVERY DAY from 12noon for lunch and dinner. Children, walkers and dogs most welcome.